Albert is Senior Economist at NESTA, where he joined in 2007. His work has been at the intersection of innovation and finance. His research projects have explored some of the drivers of innovation activity and venture capital performance, as a well as the contribution of firm dynamics and intangibles to productivity growth. He holds a PhD in Economics from Harvard University, an MSc in Economics from the London School of Economics, and a BA in Economics from Universitat Pompeu Fabra. He is also guest professor at the Barcelona Graduate School of Economics and has been visiting economist at the OECD. Bronwyn H. Hall is a Professor in the Graduate School at the University of California at Berkeley and Professor of the Economics of Technology and Innovation at the University of Maastricht, Netherlands. She is a Research Associate of the National Bureau of Economic Research and the Institute for Fiscal Studies, London. She is also the founder and partner of TSP International, an econometric software firm. She received a Ph.D. in economics from Stanford University in 1988. Alongside Nathan Rosenberg, she is the joint editor of the Handbook of the Economics of Innovation (in the Elsevier series). 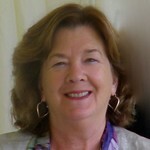 Her current research includes comparative analysis of the U.S. and European patent systems, the use of patent citation data for the valuation of intangible (knowledge) assets, comparative firm-level investment and innovation studies (the G-7 economies), measuring the returns of R&D and innovation at firm level, analysis of technology policies such as R&D subsidies and tax incentives, and of recent changes in patenting behavior in the semiconductor and computer industries. She has made substantial contributions to applied economic research via the creation of software for econometric estimation and of firm-level datasets for the study of innovation, including the widely used NBER dataset for U.S. patents. Christian Zimmermann is Assistant Vice President at the Federal Reserve Bank of St. Louis. He holds an undergraduate degree from the Université de Lausanne and a PhD from Carnegie Mellon University. He has previously worked at the Université du Québec à Montréal, the Bank of Canada and the University of Connecticut. He has published articles in the International Economic Review, Journal of Monetary Economics, European Economic Review, Journal of Population Economics, Journal of Comparative Economics, Journal of Macroeconomics, and others. He is associate editor of the Review of Economic Dynamics and a core member of the RePEc team. His current research relates to optimal unemployment insurance, fluctuations and child labor, among others.He joined IZA as a Research Fellow in August 2006. Daniel L. Goroff is Vice President and Program Director at the Alfred P. Sloan Foundation, a private philanthropy that supports breakthroughs in science, technology, and economics. He is especially interested in financial regulation, behavioral economics, big data, and higher education. Goroff is Professor Emeritus of Mathematics and Economics at Harvey Mudd College, where he served as Vice President for Academic Affairs and Dean of the Faculty. Before that, he was a faculty member at Harvard University for over twenty years. Daniel Goroff has twice worked for the President’s Science Advisor in the White House Office of Science and Technology Policy, most recently as Assistant Director for Social, Behavioral, and Economic Sciences. 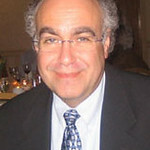 David K. Levine is the John H. Biggs Distinguished Professor of Economics at Washington University in St. Louis. He is currently serving as President of the Society for the Advancement of Economic Theory, is a fellow of the Econometric Society, an Economic Theory Fellow, a research associate of the NBER and of the Federal Reserve Bank of St. Louis, managing editor of NAJ Economics, and co-director of the MISSEL laboratory. Professor Levine previously taught at UCLA where he held the Armen Alchian Chair in Economic Theory and twice served as Chair of the Department. He has served as President of the Society for Economic Dyamics, as co-editor of Econometrica, Economic Theory and the Review of Economic Dynamics, as a member of the American Economic Association Honors and Awards Committee, as a member of the Sloan Research Fellowship Program Committee and as a panelist for the National Science Foundation. David Newbery, PhD, ScD, FBA, is emeritus Professor of Economics at the Faculty of Economics, University of Cambridge. He is a Fellow of the British Academy and of the Econometric Society. He was educated at Cambridge with degrees in Mathematics and Economics, was President of the European Economic Association in 1996, and is President-elect for the IAEE 2012, to be President in 2013. David Newbery is an occasional economic advisor to Ofgem, Ofwat, and ORR, is a former member of the Competition, and is currently a member of the academic panel of environmental economists, DEFRA, and of Ofgem’s Low Carbon Network Fund. Professor at Stanford University. He is the Director of the Institute of Innovation Research, Technology Management and Entrepreneurship and Director of the LMU Entrepreneurship Center. After graduating with a Diploma degree in mechanical engineering, Dietmar Harhoff began his professional career as a research engineer in Great Britain and Germany. From 1985 to 1987, he was a McCloy Scholar at Harvard University (M.P.A 1987). In his MIT doctoral thesis (Ph.D. 1991) he analyzed research incentives and voluntary information disclosure. 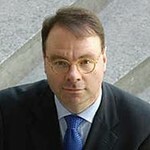 After joining the Center for European Economic Research (ZEW) in Mannheim, he became its Associate Scientific Director in 1995. In 1998 he assumed his current position at LMU where he was a co-founder of LMU’s Entrepreneurship Center in 2000. 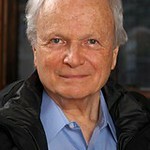 Eric von Hippel is T Wilson Professor of Innovation Management, and also Professor of Engineering Systems at MIT. von Hippel’s academic research examines the sources and economics of open and distributed innovation. His most recent book, “Democratizing Innovation” (MIT Press, 2005) is available free on the web. He specializes in research related to the nature and economics of distributed and open innovation. He also develops and teaches about practical methods that individuals, open user communities, and firms can apply to improve their product and service development processes. Eustáquio J. Reis is a Senior Research Economist at the Institute of Applied Economic Research (Ipea), Rio de Janeiro, where he has been Director of Macroeconomic Studies for many years. At Ipea, he was the editor of Pesquisa e Planejamento Economico and organized Ipeadata, a leading statistical database on the Brazilian economy built as a pioneer open government initiative. Other activities include the Coordination of Research Network on Spatial Models and Analysis (Nemesis) where he is now organizing Memoria Estatistica do Brasil, an open repository of books and datasets on Brazilian history proposed as collaborative platform. He is also a member of the Steering Scientific Committee of the Large Scale Scientific Experiment for the Amazon Basin (LBA) as well as of the Trade and Development Index (TDI/UNCTAD). He did his undergraduate studies at the Federal University of Minas Gerais and graduate studies in Economics at Vargas Foundation, in Rio de Janeiro, and at MIT, Cambridge, USA. His current research interests include the areas of Development Economics, Economic History, and the Economics of Natural Resources and Environment where he has published extensively on Amazon deforestation, including The Dynamics of Deforestation and Economic Growth in the Brazilian Amazon (Cambridge University Press, Cambridge, 2002). Hans-Peter Brunner is a Senior Economist at Asian Development Bank. He is a seasoned senior professional with diverse and significant background in international development, including work with multilateral institutions, bilateral donors, academia, and the private sector. He has been working with the Asian Development Bank (ADB) since December 1995, specialising in international and sub-regional trade, investment and finance; corporate and financial governance; project-finance and public-private partnerships; small and medium enterprise restructuring. Hans-Peter taught economics at universities in Germany (1991-1995), and has worked as a consultant for international organisations (EU, World Bank) and governments (Science Center Berlin and US A.I.D.). John Rust is Professor of Economics at Georgetown University. He was previously professor of economics at the University of Maryland from 2001 to 2012, Yale University from 1996 to 2001, and the University of Wisconsin from 1983 to 1995. Rust received his PhD in Economics from MIT in 1983, specializing in applied econometrics. He is best known for his research on the development of computationally tractable methods for empirically modelling dynamic decision making under uncertainty. In a series of publications Rust has demonstrated that these discrete dynamic programming models provide accurate predictions of actual human decision making in a variety of contexts. He was awarded the Ragnar Frisch Medal by the Econometric Society in 1992 for his empirical application of the method in his 1987 Econometrica paper, “Optimal Replacement of GMC Bus Engines: An Empirical Model of Harold Zurcher.” Rust is a Fellow of the Econometric Society, and the co-founder of the ﬁrm Technoluddites, Inc. that provides web-based software for the beneﬁt of academia (products include Editorial Express, for online management of submissions to over 100 academic journals, and Conference Maker for online conference organization used by over 300 international conferences, and Head Hunter used by over 100 universities for web-based academic recruiting). He is also co-founder of the non-proﬁt charitable organization, EconJobMarket.org (EJM) designed to facilitate the efﬁcient operation of the job market for economists. The impact of EJM on the job market for economists is described in the forthcoming article by Rust and coauthors in the Oxford Handbook of Market Design, “Can the Job Market for Economists be Improved?” (Oxford University Press, 2012, forthcoming). 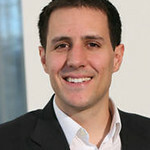 Josh Lerner is the Jacob H. Schiff Professor of Investment Banking at Harvard Business School, with a joint appointment in the Finance and the Entrepreneurial Management Areas. He graduated from Yale College with a Special Divisional Major that combined physics with the history of technology. He worked for several years on issues concerning technological innovation and public policy, at the Brookings Institution, for a public-private task force in Chicago, and on Capitol Hill. He then earned a Ph.D. from Harvard’s Economics Department. Much of his research focuses on the structure and role of venture capital and private equity organizations. (This research is collected in three books, The Venture Capital Cycle, The Money of Invention, and Boulevard of Broken Dreams.) He also examines innovation policies, and how they impact firm strategies. (The research is discussed in the books Innovation and Its Discontents, The Comingled Code, and the forthcoming Architecture of Innovation.) He co-directs the National Bureau of Economic Research’s Productivity, Research, and Innovation Program and serves as co-editor of their publication, Innovation Policy and the Economy. He founded and runs the Private Capital Research Institute, a non-profit devoted to encouraging data access to and research about venture capital and private equity. At Rotman, he teaches MBA and Commerce students Network and Digital Market Strategy. 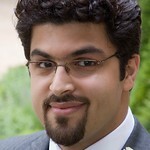 Most recently, he has written an eBook, Information Wants to be Shared (Harvard Business Review Press). While Joshua’s research interests are varied he has developed specialities in the nature of technological competition and innovation, economic growth, publishing economics, industrial organisation and regulatory economics. In 2007, Joshua was awarded the Economic Society of Australia’s Young Economist Award. In 2008, Joshua was elected as a Fellow of the Academy of Social Sciences, Australia. Details of his research activities can be found here. In 2011, Joshua (along with Fiona Murray of MIT) received a grant for almost $1 million from the Sloan Foundation to explore the Economics of Knowledge Contribution and Distribution. Lionel Bently is the Herchel Smith Professor of Intellectual Property Law and Director of the Centre for Intellectual Property and Information Law. Professor Bently is an expert in all fields of intellectual property law (copyright, designs, trade marks, trade secrets, patents and geographical indications) and has written widely on aspects of UK and European Intellectual Property. He is particularly interested in the history of intellectual property law in the UK and the former British Empire. He was co-director of the AHRC funded Primary Sources on Copyright in 5 jurisdictions, and is one of the principal investigations on the HERA-funded project “Of authorship and Originality” (with the Universities of Bergen and Amsterdam). Professor Bently has been heavily involved in policy work at a national and European level. He was on the Copyright Expert Panel of the Strategic Advisory Board on Intellectual Property (2008-10) advising the UK Government about intellectual property. 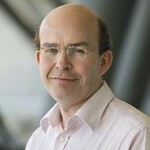 He led the team of researchers that advised the Gowers Committee reviewing Intellectual Property on Economics of Copyright Term Extension in relation to Sound Recordings (2006) and was part of the team that produced a report for HM Treasury on Models of Exploitation of Public Data by Trading Funds (2008). 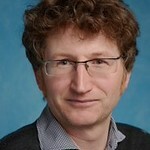 He was part of the “Wittem Group” of Copyright Scholars who worked up a proposed “European Copyright Code” (2005-2010). Professor Bently is a qualified barrister (2009, IT). He has held visiting posts at the University of New South Wales, the National University of Singapore and Columbia University. Paul David is Professor of Economics (Emeritus) at Stanford University and Senior Fellow of the Stanford Institute for Economic Policy Research (SIEPR); Professorial Fellow at the United Nations University-MERIT, in Maastricht; Emeritus Fellow of All Souls College, and Professor Emeritus of Economics and Economic History in the University of Oxford. 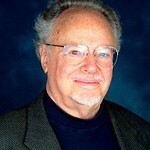 David is a past president of the Western Economics Association International, and of the Economic History Association. He is a Fellow of the American Academy of Arts and Sciences, the American Philosophical Society, the British Academy and the International Econometric Society. 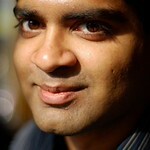 Rishab Ghosh started the Collaborative Creativity Group in 2000, at the University of Maastricht in the Netherlands, the leading research group on the economics of free/open source software, Wikipedia and other forms of collaborative innovation. He has extensively researched and published on intellectual property rights, innovation policy, and the economics of collaboration. He led research collaborations with Stanford, Oxford, Cambridge and Tsinghua Universities, with grants from the US National Science Foundation and European Commission. Ghosh has been a board member of the Open Source Initiative, and is also co-Founder of Topsy Labs, Inc, a San Francisco-based social media search & analytics firm. Rishab’s most recent publication was the WIPO Study on Using Copyright to Promote Access to Information and Development. Shane Greenstein is Professor in the Management and Strategy Department at the Kellogg School of Management, and, by courtesy, in the School of Communications, Northwestern University. He is the Kellogg Chair of Information Technology. He is a leading researcher in the business economics of computing, communications and Internet infrastructure. Many of these essays and other commentary are on his blog called virulent word of mouse and digitopoly. He is presently writing a history of the development of the commercial Internet in the United States. 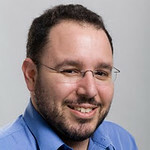 Greenstein is co-director of the economics of digitization at the National Bureau of Economic Research, and editor of the business/economics section of the Communications of the ACM. 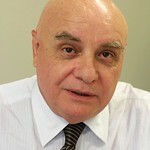 He was administrative head of his department from 2002 to 2005. 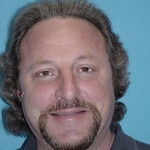 Greenstein received his BA from University of California at Berkeley in 1983, and his PhD from Stanford University in 1989, both in economics. He also continues to receive a daily education in life from his wife and children. Tariq Khokhar is the World Bank’s Open Data Evangelist. His interests lie where technology, transparency, poverty and data meet. He guides the World Bank’s strategy on Open Data and Open Development and is responsible for internal and external outreach and execution. Prior to joining the Bank, Tariq led innovation and community engagement work at Aidinfo and the International Aid Transparency Initiative (IATI). He was formerly a director of Bond UK and the Chief Development Officer of Aptivate, where he delivered technology policy, strategy and implementation projects for governments, NGOs and international organisations. He holds degrees from the University of Cambridge, has close relationships in the global Open Data and Open Government communities and currently lives in Washington DC. Dr Hubbard is responsible for the bioinformatics groups that carry out analysis and annotation of the vertebrate genome sequence produced by the Sanger Institute. He is joint head of the Ensembl genome annotation project, which is the leading database and access point for the human genome sequence. Following the controversy surrounding the ownership and access to the human genome sequence, he has become a leading advocate of the benefits of openness in science and in society as a whole. He is involved in a number of NGO/Industry forums regarding the world patent system and access to essential drugs, including the plan by Medecin Sans Frontieres to set up a public domain drug development industry, DNDi. Victoria is an assistant professor of Statistics at Columbia University. She completed her PhD in statistics and her law degree at Stanford University. Her research centers on the multifaceted problem of enabling reproducibility in computational science. This includes studying adequacy and robustness in replicated results, designing and implementing validation systems, developing standards of openness for data and code sharing, and resolving legal and policy barriers to disseminating reproducible research. She is the developer of the award winning “Reproducible Research Standard” a suite of open licensing recommendations for the dissemination of computational results. She is a co-founder of http://www.RunMyCode.org, an open platform for disseminating the code and data associated with published results, and enabling independent and public cloud-based verification of methods and findings. 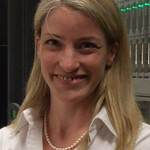 She is the creator and curator of SparseLab, a collaborative platform for reproducible computational research in underdetermined systems.